All of a sudden a strange thing is happening. Once I convert my raw files to jpegs I edit them for color, exposure, etc..... I also often crop them a bit. Especially event photos like the folder I am editing now. Before yesterday, I just edited the photo, cropped it and saved it. End of story. Now, for some reason, if I edit it, say for exposure, and save it, fine. But if I crop it, it saves it as a psd. I can override that and go to jpeg in the drop down menu (although it's already jpeg). But if I do, it saves it as a copy and puts copy in the name. And then it asks me if I want to save changes to the original jpeg. And keeps both photos so I have to delete one. Anyone know what is going on? This is taking a huge amount of time. I did not change any settings, not intentionally anyway. You're editing images for color, exposure, etc. after you convert to JPEG? You should be doing all such corrections prior to converting to JPEG. 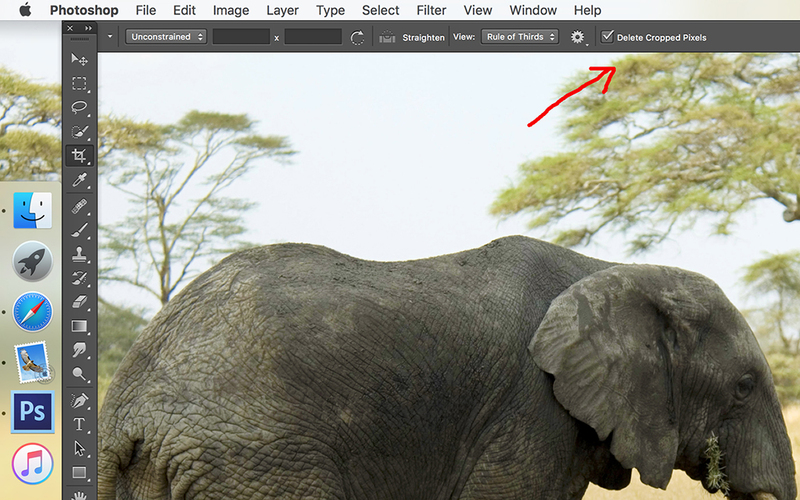 In both Lightroom and ACR (Adobe Camera RAW) in Photoshop, any edits such as cropping will be non-destructive. That should just be modifying your original images's metadata. Once you are happy with your adjustments, you can then export from LR to JPEG. Or, in the case of Photoshop, open that image into a new document to do further edits. In that latter case, I would strongly recommend creating a 16-bit Photoshop file and do further edits with that. Once you are done, then export to JPEG. Note that exporting to JPEG is a lossy process. For one, bit-depth is reduced to 8-bit (256 levels per red, green, and blue). It's also compressed. If you make edits with JPEG as a start, you risk color banding and other issues such as generational loss. i.e. the more you save a JPEG, the more it will be re-compressing image data and quality will deteriorate over time. Thanks so much for replying. No, I actually edit for color and exposure, etc... in ACR. I only meant once I convert to jpg that I tweak it further, make final touches and then crop if needed. Thank you for all that additional info also. Good advice in eating in psd file due to jpg loss the more you fuss with it. But my problem here is that I've been processing my raw files the exact same way for a million years and all of a sudden, for no apparent reason, now when I crop a jpg the computer insists that I save it as a .psd or I can choose jpg from drop down (before it was just the default so no choosing) and then it will save it as a copy (with copy in the name) and so I end up with two jpegs. Before I just cropped the jpegs and it saved as the same file. This started last night. I didn't change anything so I don't know what's going on. I'd still recommend that all edits should be done in LR or with PSD files in Photoshop. Think of saving to JPEG as the last possible step in your process. I like to think of it as a delivery-only format. Much like 8-bit 4:2:0 H.264 (part of the Blu-ray specification) is a delivery format for video. While you can edit in those formats, you're much better off editing in acquisition formats. Acquisition formats give you much more latitute and in some cases give you lossless processing. Or can at least handle multi-generation losses without compromising quality. Specifically for crops, always start with the best representation of the image, crop that, then save the result as a JPEG. Otherwise, if you start with a JPEG and you crop that (or make any other edits), there are only two options: overwrite the existing image (I believe that's what you're trying to do); or, save a copy to a separate file. In both cases though, you are resaving a JPEG as a JPEG, so would now have generational loss. The nice thing about doing crops/edits in LR or ACR is that they are non-destructive and allow you to go back in later and modify them at any time*. * in ACR, you'd need to use a smart object. That way, in Photoshop, you can always double-click that layer and ACR will open once more to allow for changes. 1. Created a PSD document. Saved. Cropped it. Then saved again. Wasn't prompted and just saved the file as expected. 2. Created a new document and exported (Save for Web) to a JPEG (didn't embed any color space). Opened that JPEG (Photoshop prompted me for a color space choice; chose working space). Cropped the image and selected Save. Was prompted to select a quality setting. Image would be a 2nd-generation JPEG. 3. Closed, then re-opened the JPEG. Was not prompted for color-space since it now has the working space embedded in it. Cropped the image once more and then selected Save. The image saved without getting any prompts (Photoshop must have saved in some metadata the quality setting I selected in step 2). Image now would be a 3rd-generation JPEG. Thank you again RS. Good advice to think of saving as a jpeg first when it's a final step to prevent quality erosion. I do not use LR. I process only in PS and Bridge. Yes, overriding existing jpegs is what I've been doing and, for the most part, if I only make a couple of changes, it works well and is fast. In many cases, I'm only tweaking files enough to make a gallery of proofs for clients to look at and make choices. Prints, etc.... is a different story -- although I process those the same way, technically. Thank you for trying to duplicate my problem. It's very weird. I thought something must have changed in the ACR - jpeg conversion system. I was also hoping it only affected the event/batch I was working on when this happened. But I went to older but recent folders (from a week ago) and the same thing is happening. So it's everything -- even though these older recent files (jpegs) were not doing this when I originally processed them (last week). I put this question on the Adobe forums this morning and someone got back to me and suggested that the "delete cropped pixels" box was unchecked and, given what I described, I'd want it checked. So I checked that box and sure enough everything is back to normal. Don't know how it got unchecked but oh well..... good to know for the future. Thank you again RS, all your related advice is great and very helpful and I appreciate it.